It is November! Holiday Time. Holy Cow! It is November. Time flies and how? Well, as the year unfolds to the 11th month, a new season awaits us all. As we wrap our month or two long festivities, it is time to start gearing up for those much awaited annual holidays in Christmas and New Year. I am sure a lot of you will have your own plans for vacation this year. Since December is gonna be a cold month in different parts of India, am sure, a lot of you will be heading for beach holidays. Goa, Sri Lanka and Thailand are few hottest destinations for sure. Do read- Top 10 exotic beach destinations. Vacations are fun, but packing for vacations are a big pain, for some of us. No matter, how well you have envisaged your trip in advance, packing for travel is tedious. Well, let me make it easy for you, with some quick tips on what to pack for your beach holidays. Do not worry except for some bare essentials, packing for beach vacation unlike any other place is absolutely hassle-free, fun and footloose. Clothing, Albeit is personal discretion. I would suggest, go short and floral. For shoes, best to go for slip-on like floaters or flat sandals that you can wear on the beach and not worry about losing them. While you pack your beach gears, do not forget to pack these accessories. 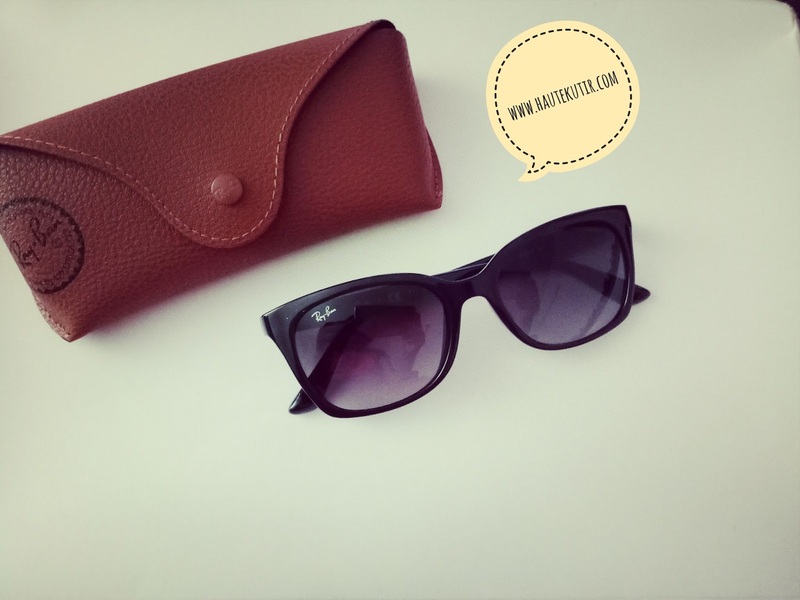 2) Sunglasses: Go for one with a Plastic frame as unlike metal they do not get extremely heated in the sun and lighter in weight to carry. Chose from a right company that provides you ample protection from the sun and looks cool too. 3) A Bandana: Carry a bandana or a cotton scarf, they are not just a cool fashion statement but are quite instrumental in protecting your hair from harsh beach wind that makes hair frizzy and causes fly-aways. They are the multi-purpose accessory. 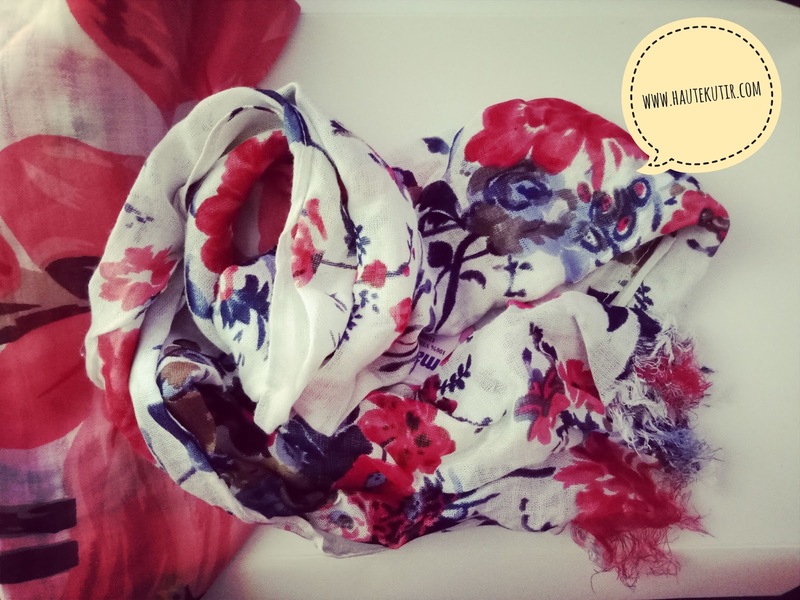 You can use them to cover your hair, cover your face, tie your long hair in a bun, as a shawl during the evening, a cool scarf on your dress and even as a sarong. 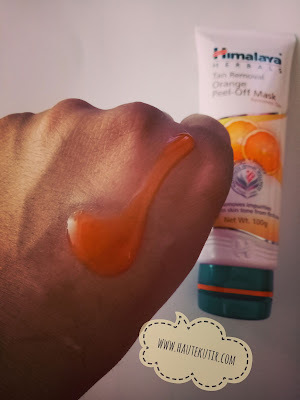 4) Himalaya Herbal Tan Removal Orange Peel-Off Mask: Beach holidays are quite a fun but can also be a nightmare for our hair and skin. You can cover your hair with a hat or bandana but covering your face all the time may be a distant possibility. Tan is bound to happen on the beach. You may not be able to prevent them. however, you can always fight them or work towards repair. But how? Following a skin care regime during travel can be a quotidian task and carrying multiple products is futile as you end up not using any of them. In my last beach vacation to Goa last year, I was advised not to get a facial done before going for holidays. Though I carried some scrub, masks and some other nourishing cream. But given the hectic schedule, I could barely use one and had developed some very serious tan all over the body. I am allergic to sunscreen and somehow do not believe in high SPF or repeat applications especially when you are travelling and may not be able to wash your face every time before you apply the sunscreen. For that purpose, I carried one herbal face pack which I intended to use before going to bed. The irony is that could barely use it during the holidays. As after a long day beach and sight-seeing, you get so tired after retiring to your room that sometimes you skip washing your face leave alone applying a mask and then washing the mess out of it. The peel off mask comes handy at such occasion, wherein you can remove the mask by mere peeling it off, your face. Why Himalaya Herbal Tan Removal Orange Peel? Well, it is natural and has the goodness of orange that not just rejuvenates your senses with its tangy smell but also refreshes your skin with it natural alkaline properties. It is a feel good product and at the price of Rs 130 for 100 gm, it is a steal. However, it would be unfair to say that it will be instrumental in 100% removal of your beach tans. The results, however, may vary from person to person and intensity of the tan incurred. 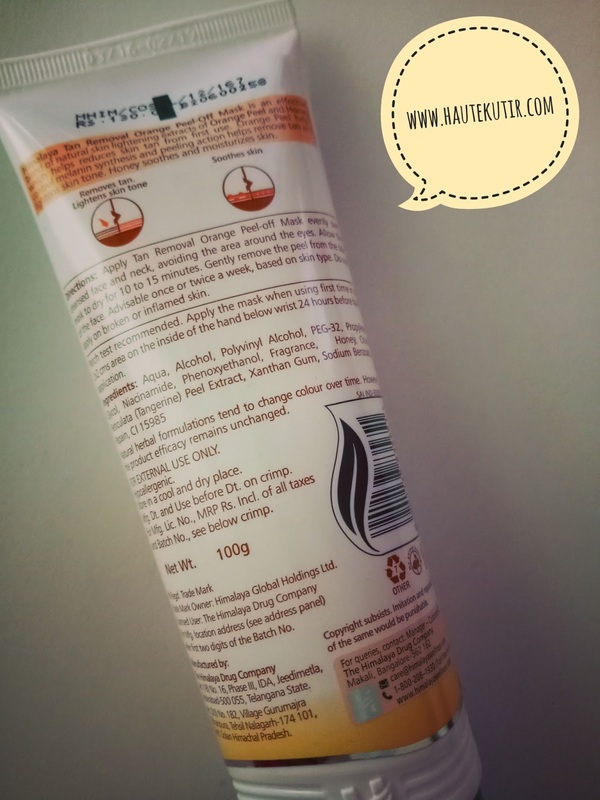 The product comes in a travel-friendly tube which is hygienic and easy to use. The product contains pulpy orange peel that is effective in lightening the skin and absorbing excessive oil. It also has honey which is antibiotic, probiotic and healing properties. 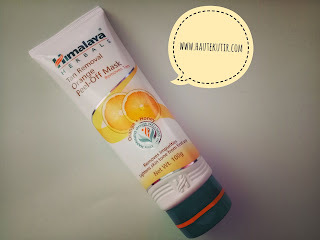 I am a regular user of Himalaya products esp skin care and find them safe thus far. Tip: avoid using too much product on your face. Use a thin layer of the product all over your face and some portion of neck-baring the decollete. allow it to dry for 15 minutes, then gently peel it off. Prep your skin with a dash of toner or spring water. 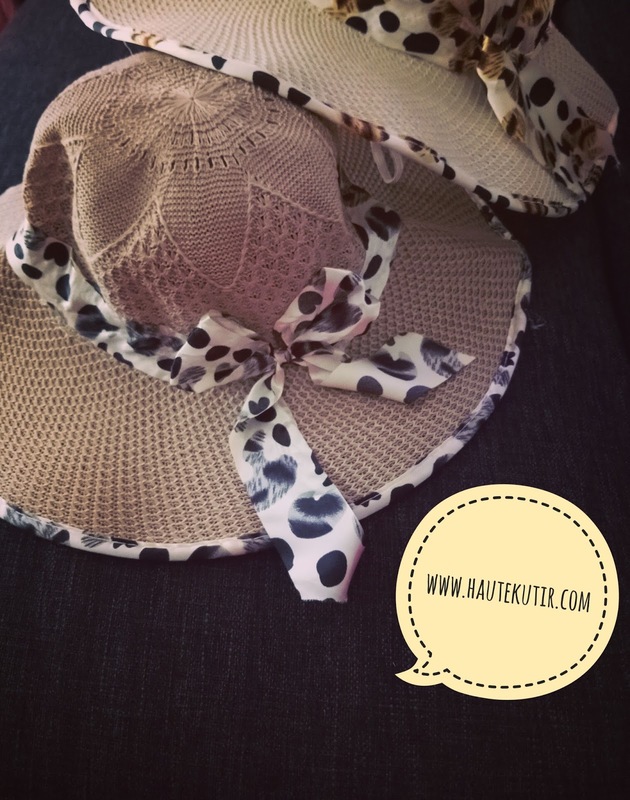 Well, that was my top 4 #must-have accessories for your beach vacations. Do let me know if you want to add more to the list. I made this list basis my preference to travel light and travel right. Hope you will like the same. So have fun and enjoy your holidays!